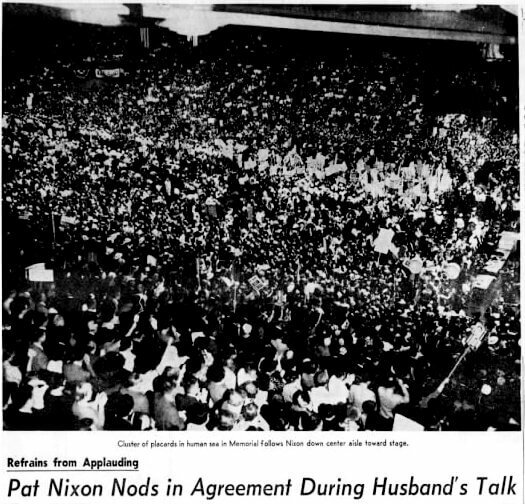 in a charged moment during his campaign against Kennedy, on November 1st, 1960 — only one week before election day — Vice President Nixon spoke at a campaign rally at the War Memorial Auditorium to a full house. 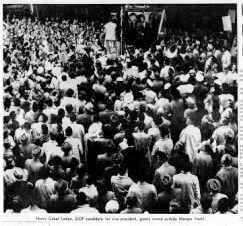 Previously, on October 19th, Nixon’s Vice Presidential candidate Henry Cabot Lodge II, former UN Ambassador, spoke to 5,000 outside the Manger Hotel. 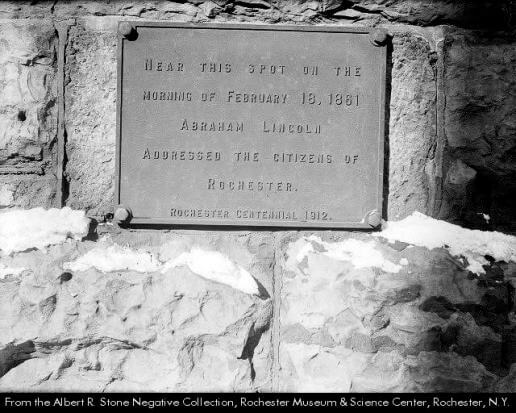 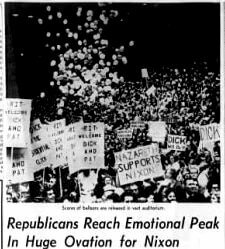 One day after Nixon’s November 1st visit, the Democratic Vice Presidential candidate Lyndon Baines Johnson and his wife Lady Bird would campaign in Rochester before tens of thousands also outside the Manger Hotel. 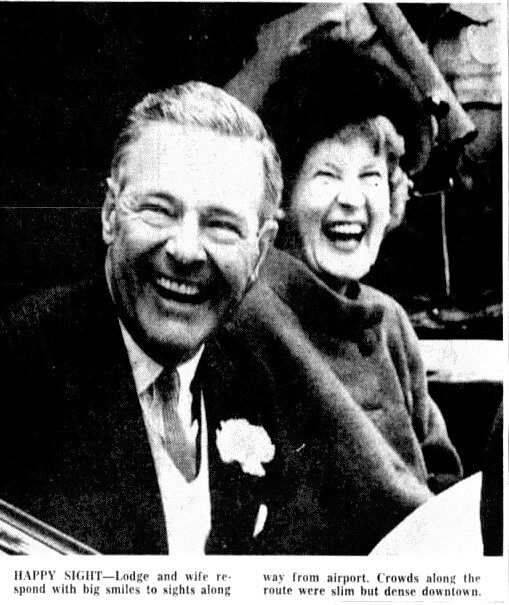 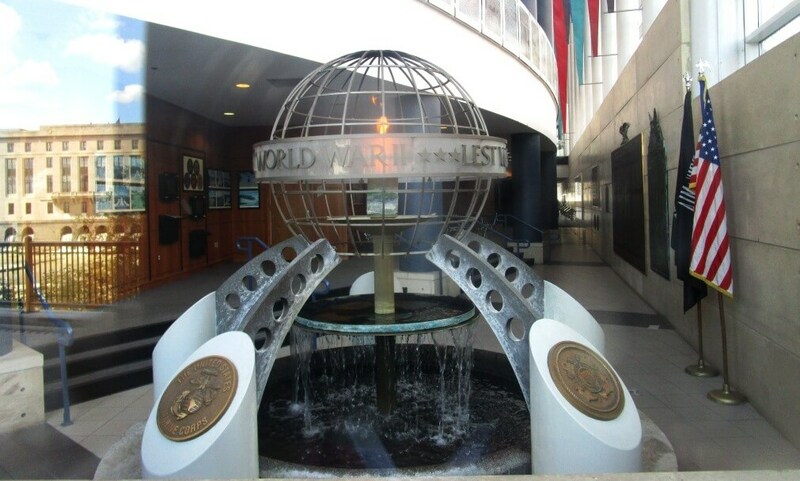 Johnson criticized Nixon’s speech at the War Memorial. 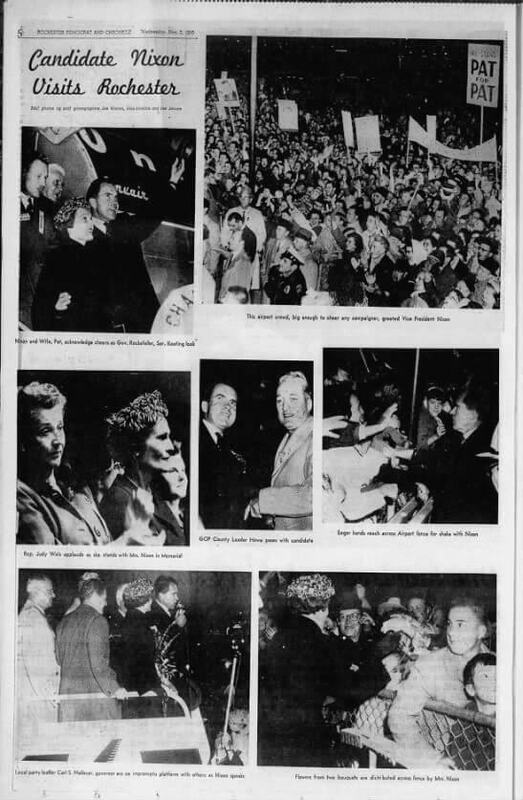 In 1960, New York was still considered “in play,” having voted Eisenhower/Nixon in 1952 and 1956. 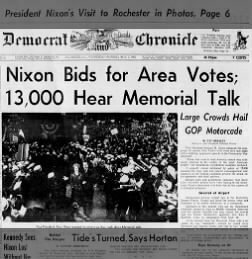 In his speech, Nixon promised to win Monroe County. 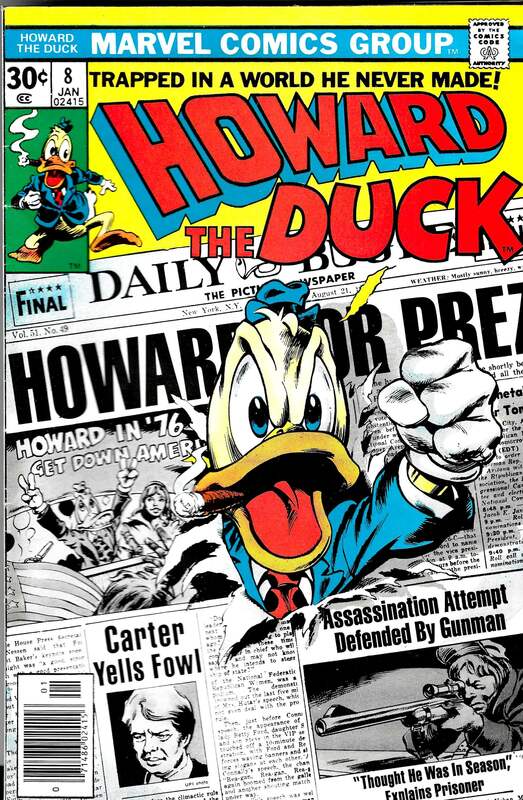 He did, but lost New York by 5 points — and also the closest presidential election in U.S history. 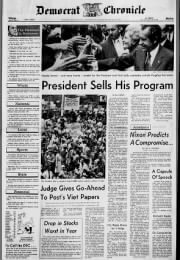 In Six Crises (1962), Nixon mentions the visit in his account of the frenzied last week of the campaign in which he lost the popular vote by .017%.